Proffitt Garage Door provides the best garage door repairs in southern Michigan and northern Indiana. 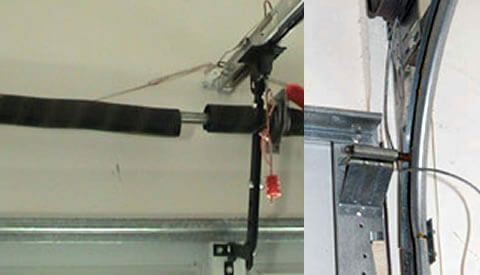 Our garage door repairs include garage door motor repairs, broken garage door springs, broken garage door cables and pulleys, broken garage door openers, garage door remotes and garage door panels. We offer garage door repairs on all types of garage doors and garage door brands. We are available to help with your garage door, so just give us a call at (574) 266-7978. Proffitt Garage Door can handle a variety of Garage Door Service Repairs throughout southern Michigan and northern Indiana, including the most common problem which is when your garage door will not close properly. This happens for several reasons including something could be obstructing the tracks path, the garage door rollers are off the track, the garage door opener sensor is not functioning properly and a garage door spring could be broken. Proffitt Garage Door can help with these issues and many more, so if you are experiencing garage door service issues, just give us a call at (574) 266-7978.